Interesting segment on Forum today about so-called nontoxic nail polishes. Apparently they still contain high levels of dangerous chemicals, according to California's Department of Toxic Substances Control. Ingredient "demonization," as someone on the show put it, is important to me (meaning I am concerned about nasty chemicals being allowed into products), but I tend to worry more about the people who work in nail salons and the fumes they are exposed to over long periods of time. "The elephant in the room: all cosmetics in all categories are made using complex, synthesized chemicals. The information on the risks inherent in these chemicals is regulated by EPA, not FDA. Until we stop focusing on the cosmetic industry and hold the chemical industry in the US accountable, this focus on cosmetics is a diversion from the real issue. Unlike cosmetics, household cleaners, laundry detergent, etc. are not even required to list the chemicals used to make them. Let's focus on the real issue—the chemical industry in the US and its apparent freedom to do what ever they want with little accountability." As the mother of a toddler, I think diapers and toilet training when I see the letter "p" followed by a couple of "o"s. But the "poo" in "no poo" isn't Number Two; it's shampoo! As I recently learned, there's a movement afoot to forgo lathering up your locks with store-bought stuff in favor of using various combinations of things like baking soda, vinegar, and lemon juice. The advantages? You keep the nasty chemicals found in numerous shampoos away from your body and the environment, you use less plastic, and you save money. I know what some of you are thinking: "Gross!" But here are a couple women who swear by it: link, link (though this woman had less success). And here's an Instructables how-to. I'm already a member of the Church of Not Shampooing Every Day, and I'm considering going "no poo," but I think I'll use up my current bottle first. I'll let you know what happens! But in the meantime, if you do decide to say adios to your shampoo, don't use Arm & Hammer baking soda—apparently the company conducts some rather regrettable animal testing related to this product. (I have an email in to the company to get confirmation of this, but it seems fairly well established, as far as I can tell.) Bob's Red Mill makes a cruelty-free alternative, though for some reason it doesn't trumpet this fact. Safe sunscreen: Does protecting your body have to cost an arm and a leg? Mini Mouth is now walking (and running, and climbing), which means she's spending a significant amount of time playing outside these days. And that means I've been thinking about protection from the sun a lot recently. Thus far I've been dressing her in long sleeves and pants, and, after waiting a little while so she gets some Vitamin D from the sun, covering her face and hands with Rite Aid's zinc oxide (paraben-free!, unlike the Walgreen's version), which I learned about last year when I was searching the EWG's Skin Deep database for safe diaper creams. The ointment is thick and white and kind of a pain to rub in, but zinc oxide's sun-protecting characteristics are well known (it's a mineral that creates a physical barrier to UVA and UVB rays), and I'm confident that it's nontoxic to humans, unlike the ingredients in chemical-based sunscreens. Plus, at less than $3 for a 2-ounce tube, it's a quite affordable option. But before we left town for a fun- and sun-filled Fourth of July trip, Mr. Wallet Mouth was doing some online baby-supply shopping and suggested that we take some actual sunscreen with us. So I did a quick search on EWG’s database and had him order a tube of Badger Balm’s SPF 30. It’s one of the two sunscreens in there with the best-possible rating of 0 (as in low/no hazard), and at $16 for a 2.9-ounce tube ($5.52/ounce), it beat out the other one, Soléo Organics' SPF 30+ Sunscreen, which runs $22.99 for a 2.6-ounce tube ($8.84/ounce)—yowch! By way of comparison, you can get 16 ounces of Coppertone's 30 SPF lotions for $19 ($1.19/ounce) on Amazon. But then, of course, you’d also be getting oxybenzone along with your sunscreen. In the EWG database, all Coppertone sunscreens have ratings that are in either the “Caution” or “Avoid” categories. On our trip, we used a combination of Badger Balm and zinc oxide (not in any scientific way—it was simply a matter of which one was close enough to grab before we had to go chase our exploration-minded toddler), and I’m pleased to say that Mini Mouth never got a sunburn. Performance-wise, I didn’t really prefer one over the other. Badger smells nice and is thinner than the zinc (which is odorless, which I kinda like), but strangely, they both required pretty much the same amount of effort to rub in. Or maybe it’s not so strange. Reading the fine print on the labels, I learned that both products contain 20 percent zinc oxide. The difference is that Badger’s other ingredients include beeswax, cocoa butter, and various delicious-sounding oils (olive, lavender, lime… even blood orange! ), while the zinc oxide ointment has three other ingredients: light mineral oil, white petrolatum, and white wax. Petrolatum? Ick, right? And since it comes from petroleum, a nonrenewable resource, it’s probably best avoided. Not only that, but I just learned that petrolatum is banned or restricted in the EU for use in cosmetics, apparently because of contamination concerns. Which brings up the question, why does Rite Aid's zinc oxide ointment score so well on the EWG's database? And why does Vaseline's 100% Pure Petroleum Jelly, which is pure petrolatum, get a 0 (the best rating possible)? Clearly, more research is warranted. Of course, performance and health concerns aren't the only reasons to buy a product. The manufacturer's ethics must also be considered. On that front, while I was glad to learn on Green America's Responsible Shopper that Rite Aid's founders, the Grass family, have relinquished control of the drugstore, some locations of which used to refuse women's contraception prescriptions (and beyond that, there's the accounting fraud that former CEO Martin Grass is now serving time for), Badger is burrowing a tunnel into my heart. It's a small, family-owned company that supports organic and fair-trade practices with its ingredient sourcing. In short, Badger is the winner for now. It may cost more than the zinc, but it's quite affordable compared with its peers, and it's a company I feel good about supporting. Cancer warning to appear on "natural" labels? Think your "green" soap is squeaky-clean? Maybe not. The California Attorney General's Office has filed a complaint against four makers of green-branded personal-care and cleaning products, stating that they are violating the Safe Drinking Water and Toxic Enforcement Act of 1986 (Proposition 65)—and the state's unfair-competition law, to boot. Products made by Avalon Organics (owner of the Alba brand), Beaumont (Citrus Magic), NutriBiotic, and Whole Foods (specifically, its private-label brand, 365) were recently found to contain the toxic contaminant 1,4 dioxane (which I've blogged about before). The AG's suit states that the companies have known that their products were exposing users to 1,4-dioxane since late May of 2004, yet they did not provide "a clear and reasonable warning," as required by law. Violations of the safety law and the unfair-competition law each carry penalties of $2,500 a day. 1,4-dioxane is not an ingredient per se but rather a by-product of a process called ethoxylation. Citrus Magic 100% Natural Dish Liquid is the product with by far the highest level of the contaminant (97.1 parts per million), according to the Organic Consumers Association's study (whose results, according to my sources, were confirmed by tests the AG's office had done). NutriBiotic's Super Shower Gel Shampoo with GSE was found to contain 32.2ppm, Alba's Passion Fruit Body Wash contains 18.2ppm, and Whole Foods' 365 Everyday Value Shower Gel contains 20.1ppm. Some contend that a little bit of dioxane probably isn't anything to worry about (specifically, TreeHugger writer Karin Kloosterman in this post, and Ecover, whose dishwashing liquid was found to have 2.4ppm). For context, I looked at the EPA's webpage on the chemical. There, I learned that 500ppm is the ceiling recommended by the National Institute of Occupational Safety and Health to avoid "immediate damage to life or health," and that according to the Occupational Safety and Health Administration, 100ppm is the concentration to which most workers can be exposed without adverse effects "over a normal 8-h workday or a 40-h workweek" (which? I wondered). One can't help but observe that 100ppm is pretty close to the 97.1ppm in Citrus Magic... but fortunately, even with my exacting standards, I don't (quite) spend eight hours a day scrubbing our dishes. Most people are familiar with the concept of organic food. We may be vague on the details, but we know in a general way that for a higher price, we can buy an assurance that pesticides and other chemicals that could harm us or the environment were not used in its production. Every time we pay that premium, we vote with our wallets. But the effects of that choice are not as simple as supporting the producers we buy from. Our votes are also changing the marketplace. The extra money consumers are willing to spend on organic products has created a "green rush" that goes beyond food. As you have no doubt noticed, the word "organic" is popping up in other product categories as well. Perhaps you've bought an organic cotton shirt, for example, or organic shampoo. But hold on. I would like to pause here to ask you to think about something. What, exactly, does it mean to you for a shampoo to be organic? Can you think of things that you would expect to be in it—or, more important, not to be in it? Until as recently as 2005, the use of the word "organic" in the U.S. personal-care product area was meaningless, since no one regulated it at all. Today, no less than three certification standards are positioning themselves in the sector, each with a different set of rules and a different appeal to authority. This is the first in a series of posts relaying what I've been able to learn about this corner of the organic standards landscape. As I mentioned in a recent post, starting in 2005, personal-care products were allowed to be certified to the USDA's National Org anic Program. In March, another organic certification was announced, and there's a bit of a controversy swirling around it. The label is called OASIS (for Organic and Sustainable Industry Standards), and it was launched by a trade association of the same name that includes big industry players such as Estee Lauder, Hain Celestial, and L'Oreal, as well as a number of smaller brands. The new certification is based on two principles, according to its standards (downloadable on the website): "to promote the increased use of organic raw materials to make the ingredient building blocks of Health and Beauty Products" and "to exclude chemistry that results in non-sustainable products wherever possible." In order to bear the OASIS "Organic" seal, products must contain at least 85 percent organically produced agricultural material, excluding water and salt. That percentage is slated to rise to 90 in 2010 and to 95 in 2012. "The whole deal with organic is getting away from 'better living through chemistry,'" David Bronner told me. Companies that hydrogenate but want to call their products organic should "figure out some other way to extend shelf life. There are other ways. You look at your concentrations, your pH, the synergies between ingredients, your packaging. You have to think outside the box." His company's soaps, he pointed out, are self-preserving because of their concentrations. Bronner is the first to admit that soap, by its very nature, involves a chemical reaction (albeit an ancient one) and can therefore never hope to have an organic percentage higher than the low 80s. That's why his soaps are USDA certified only to the "Made with organic [ingredients]" level, which requires at least 70 percent organic material, rather than to the full-on "Organic" level, which requires 95 percent. However, other Dr. Bronner's products—lotions, balms, etc.—do achieve the 95 percent threshold. 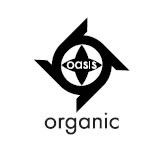 Bronner believes that OASIS's more permissive standard misleads consumers and waters down the meaning of the word "organic." Of course, that's not how OASIS sees it. For starters, OASIS co-chair Gay Timmons told me, the USDA's National Organic Program certification was designed for food, not personal-care products. When it comes to the stuff that we put in our hair and rub onto our bodies, "most people want an effect. They want personal-care products to function a certain way," she said. The implication being that such functionality is incompatible with the standards of the NOP—which, she said, "knows about farmers and livestock. Nobody there knows diddly about cosmetic chemistry." Again that word: chemistry. Central to OASIS's philosophy is the idea that there is good chemistry and bad chemistry, Timmons told me, referring to the "green-chemistry" principles outlined by Paul Anastas and John Warner in their book Green Chemistry: Theory and Practice. "Every process we use has to be something that doesn't cause environmental degradation," she said. "If it's safe for the environment, it's safe for consumers." Dr. Bronner’s Magic Soaps today filed suit under California’s Unfair Competition Law against 10 makers of personal-care products for allegedly using the term “organic” in a deceptive way. The “cheater brands” named in the lawsuit include Avalon Organics, Aveda, Jason, Kiss My Face, and Nature’s Gate. Dr. Bronner’s products—which include the nation’s top-selling natural brand of liquid soap, as well as lotions, hair rinses, shaving gels, and balms—sport USDA-certified “Organic” and “Made with Organic” seals. are USDA-certified, either to the “Made with organic ingredients” level (for which at least 70 percent of the product must be organic material, excluding water and salt) or to the “Organic” level (at least 95 percent must be organic material, excluding water and salt). So now the question is, under what circumstances can the term “organic” be used for personal-care products that don’t adhere to USDA standards? And is it permissible for companies to use the word “organic” in their brand or slogans (as does Avalon Organics, for example) when their products aren’t necessarily organic in the true sense of the word (whatever that may be)? Reasonable consumers, the suit contends, expect cleansing ingredients in “organic” personal-care products to be made from organic (not conventional) agricultural material, to be produced without synthetic fertilizers, herbicides, or pesticides, and to be free of petrochemical compounds. Now, back to this issue of standards in the personal-care sector. Just last month, a new standard for personal-care products was announced: OASIS (Organic and Sustainable Industry Standards). OASIS is also named in the Dr. Bronner’s lawsuit, which seeks to prohibit it from certifying personal-care products as “organic” because it allows for hydrogenation, sulfation, synthetic petrochemicals, and for cleansing ingredients to be made from nonorganic material. More on OASIS later this week. Do you ever feel like you’re in the Twilight Zone? Between learning about all this BPA stuff and finishing the book Not Just a Pretty Face: The Ugly Side of the Beauty Industry, I’m having a touch of reality disconnect. I’ve blogged about this issue before, in the context of the Environmental Working Group’s helpful Skin Deep online database (which is discussed in the book). But as I read the screed, the surreality of the situation really started to sink in. After all, these are normal, familiar products that have been sold on the shelves of normal, familiar stores for years and years. Are we all crazy? Thankfully, there’s a reality check: the fact that the European Union has banned scads of chemicals regularly in use in the U.S. (and not just in cosmetics, by the way) through its Cosmetics Directive and REACH legislation—both reflections of Europe’s embrace of the precautionary principle. Why, oh why, can’t the U.S. get hip to this eminently reasonable approach? Here’s where my EU envy starts to kick in with a vengeance (Down, EU envy! Down!). Of course, it’s not really about where you are. 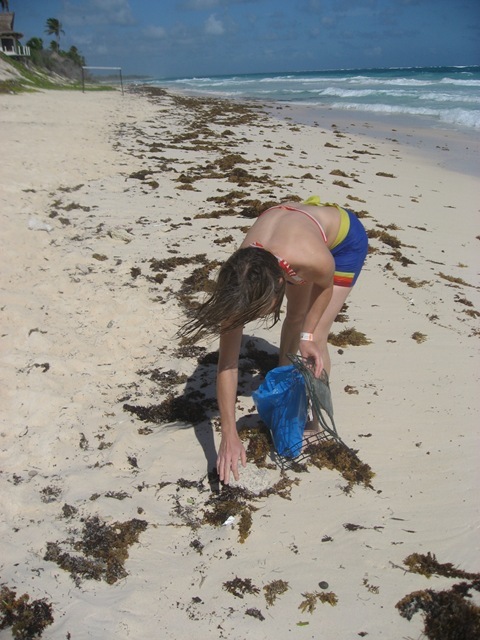 A couple years ago, I spent an afternoon on a gem of a beach in a Mexican eco-reserve that was stunning—except for the waves of garbage that came in with the tide. My sister, Mr. Wallet Mouth, and I made a game of collecting the trash and putting it in a neat pile on shore so that the people who ran the place could have it taken away. Then we found out from them that there wasn’t any “away” where it could be disposed of. This happens every day, they told us. 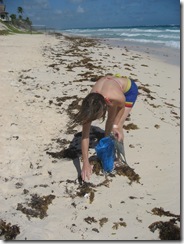 The litter rides in on currents from places as far away as Australia and China. It was a good reminder that the world isn’t such a big place after all, that you can’t necessarily escape the ills of one region by traveling to another. It’s the same thing with chemicals. Once they’re let loose in the world, we can’t avoid them—a point Not Just a Pretty Face drives home with its opening anecdote about a 2004 study in which randomly selected newborn babies in the U.S. were found to have hundreds of toxic chemicals in their blood. So on this Earth Day, I’m contemplating the limits of pocketbook activism. It’s simply not always enough. We need to actively pressure companies to do the right thing and actively pressure our government to strengthen its regulatory muscle to keep us and our environment safe.